In an AI dominated financial services world, the new competitive advantage is how talent is managed. The World Economic Forum’s latest report on The New Physics of Financial Services, suggests the long-term impact of AI on the financial services industry could be even more radical and transformative than we first imagined. To most financial services executives, the AI revolution is both exciting and terrifying as they see new opportunities present themselves while their traditional competitive advantages (process efficiency, the scale of assets and ability to analyse large data) being eroded away by artificial intelligence (AI). New entrants into the market are using innovative AI approaches to offer competitive and disruptive services, unique investment opportunities and unique customer experiences. How do traditional institutions continue to compete when most of the barriers to entry, and their competitive advantages, have been removed? The WEF’s 8th Finding in their The New Physics of Financial Services, report (Finding a balanced approach to talent) suggests that institutions could face a prolonged skills deficit with the coming changes, and the new competitive advantage could now be how institutions manage their talent and how they invest in their talent to support their AI strategy. 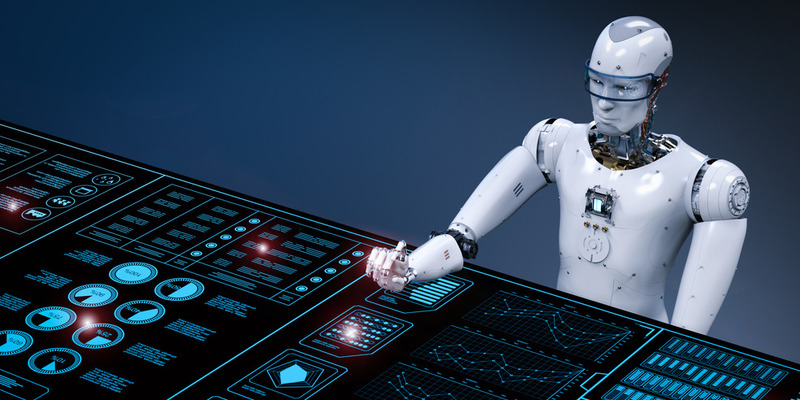 As we move to a world where most back-office transactional functions will be dominated by AI, the way to complete is going to be in leveraging the new opportunities for talent to support the AI strategy. Current talent strategies and capabilities will need to be redefined and financial institutions need to design these strategies to train, attract and retain people with the skills and capabilities that are complementary to machines. The new world of artificial intelligence is going to completely reshape financial services. The organisations that survive, and thrive, are the ones who carefully consider their talent management strategies, and how these separate them from the competition.